a bit of a slow start, but i’m not discouraged. i definitely could’ve fit in more miles. i literally wouldn’t think of it until dinnertime and then i was busy with evening duties or working. i really have to work on specifically carving out time. having this challenge in the back of my mind has made me much more conscious of what i eat (which, i think, was the point). ryan and i made a lunch and a dinner that qualify and a third that almost made it if it wasn’t for the processed tortilla. the staff meals i eat at work count because i know the ingredients with which they cook. three out of the five meals this week were staff meals consisting of salads, roasted chicken, beans, and squash. 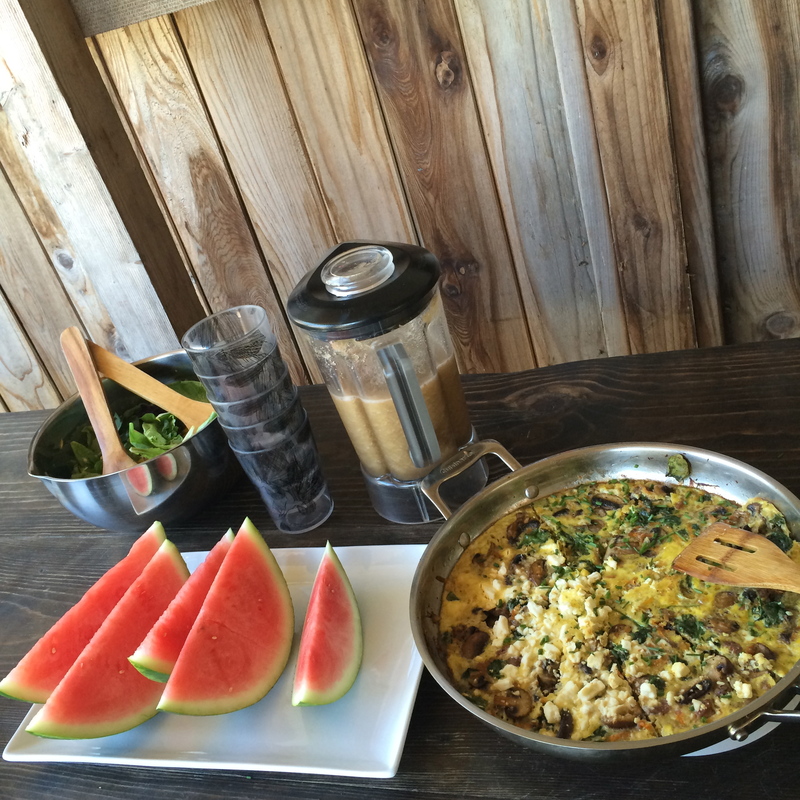 the first meal we made at home was a veggie frittata with a green salad, watermelon, and a cucumber/watermelon/basil slushie. it was hard not to add cheese. i would’ve added parm if i had a non-processed version. the shelf canister of powdery “cheese” would not suffice. it came out really delicious and i didn’t end up missing the cheese. we did put feta on top of half of it for grant and ryan. if it was a block of feta i would’ve indulged, but all we had was a tub of crumbles that had an ingredient i couldn’t pronounce to help prevent caking. 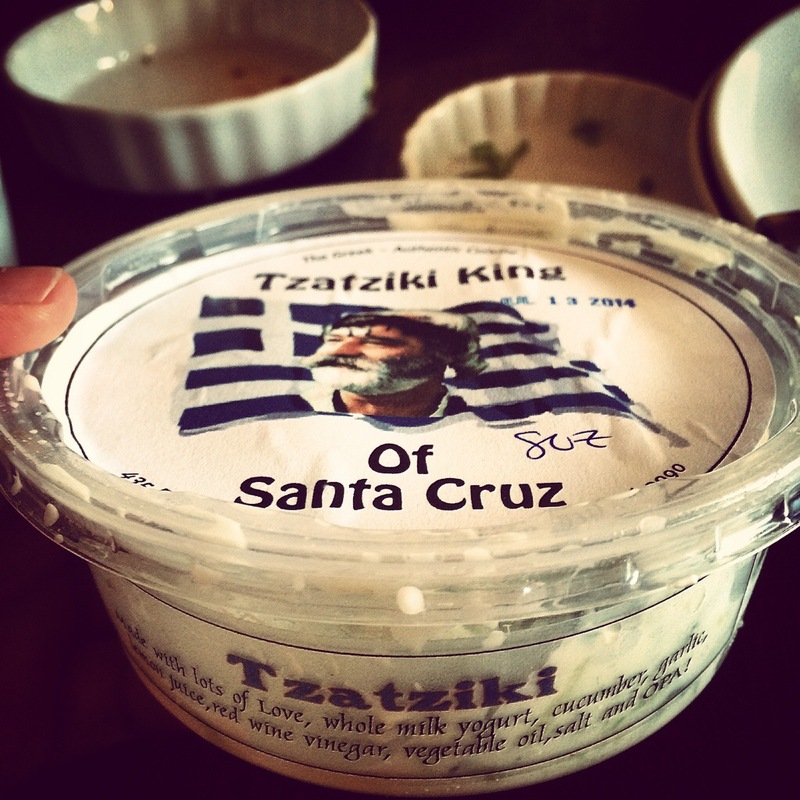 so, no feta for moi. this meal was almost all organic except for the watermelon, oil and vinegar on the salad. and, bonus, i used chives, basil, lettuce, endive, and squash from our garden. it took a bit more effort to make sure that nothing processed went in, but it was a success! the second meal at home was of the greek variety. 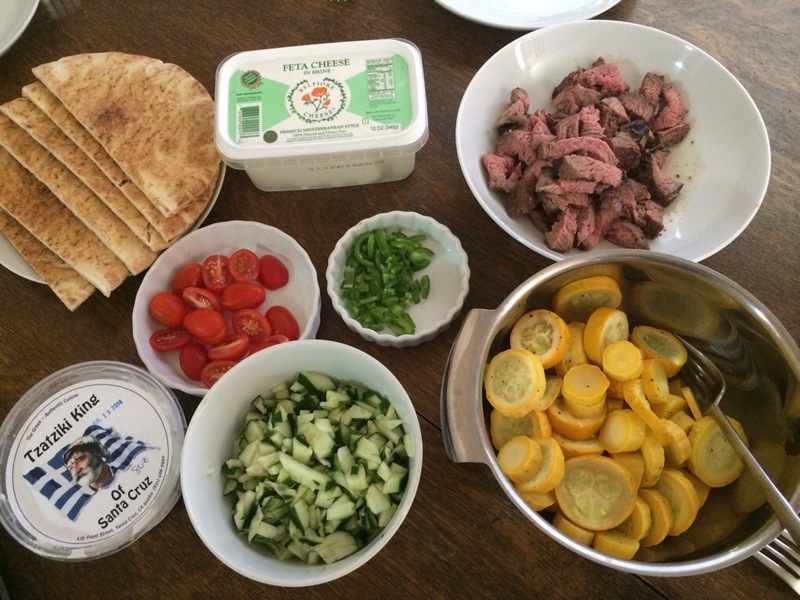 locally made pita pockets stuffed with steak from new leaf, our own lettuce, organic tomatoes, cucumbers, and jalapeno, and local tzatziki. a side of squash from our garden rounded it out. a mostly organic meal! and really tasty, to boot! i’ve been gravitating towards watching movies i’ve seen before. i really struggled with choosing a new movie. ryan and i agreed on promised land which we had recorded on our dvr. it was good, interesting story and characters, but lacked a bit of heart. 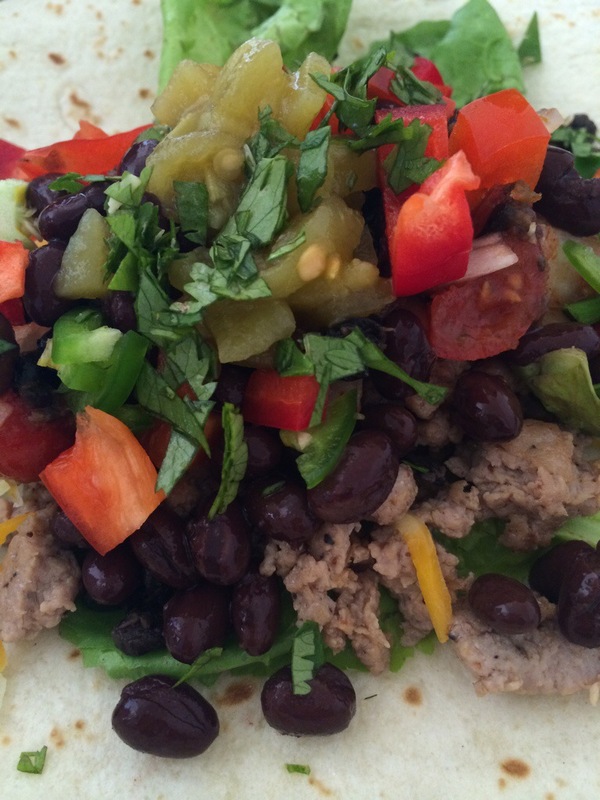 see my review on it here on bulc. 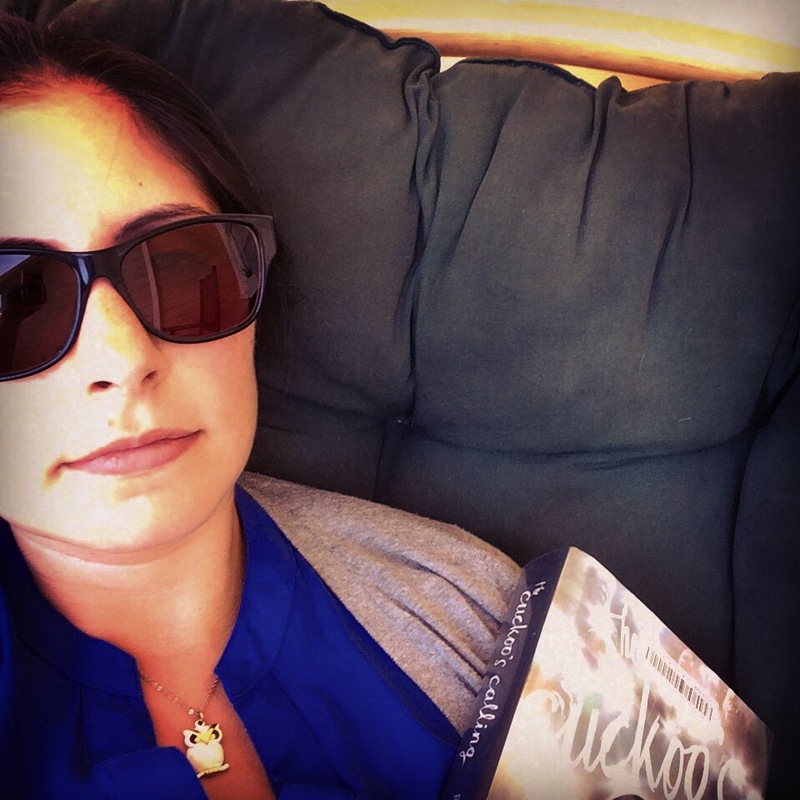 i was in the middle of bread and butter by michelle wildgen when my challenge began. i finished it early in the week, but i’m not counting it. i may have made the mistake of starting the challenge with a lengthy book, the cuckoo’s calling by robert galbraith (aka j.k. rowling). at 455 pages, this tome is a tad overwhelming to begin the 25 book challenge. i am 114 pages in and got the notice from the library that it is due back in 3 days (no renewals), so that may get me going. it’s not a page turner (yet, i hope). it’s a mystery that centers on the suicide of a supermodel and the private eye that investigates the possibility that it is a murder. the questioning of witnesses and scrutinizing evidence reads about as tedious as i assume it actually is. i do enjoy the imagery of london that the author evokes. galbraith is a wonder with words and the sentences he constructs are poetic and wonderfully descriptive. 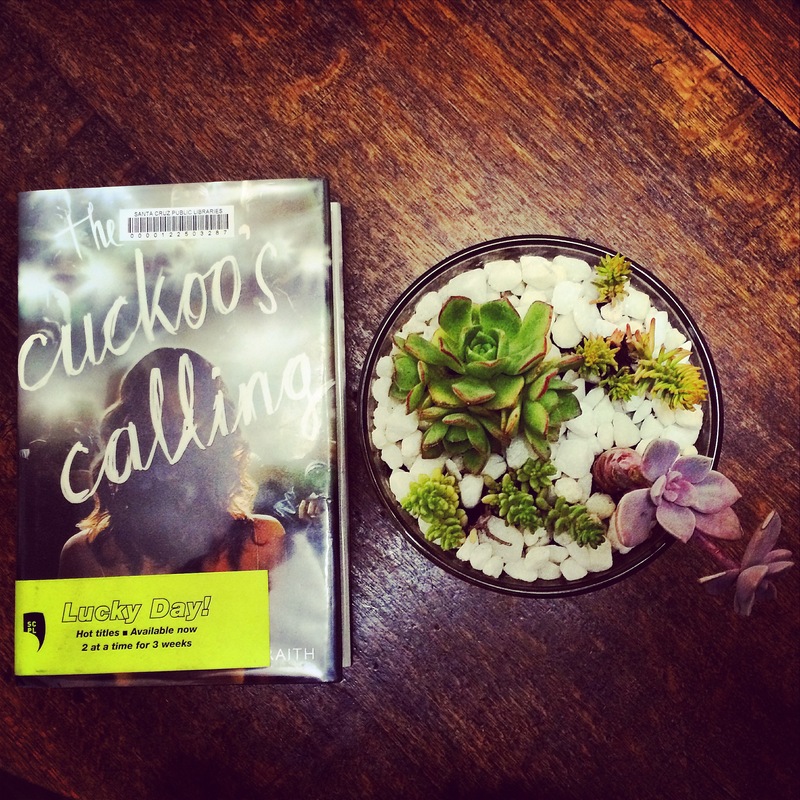 This entry was posted in books, daily log, film, food and tagged greek, healthy eating, j.k. rowling, new leaf, promised land, robert galbraith, running, santa cruz, summer, the cuckoo's calling, tzatziki. Bookmark the permalink. i’m liking it a lot, but i’ve never been a big mystery or detective genre fan. i really like the writing style, though. i’m half way through and i’ll decide at the end if i’ll continue the series. and, yes, all these fresh fruits and vegetables are amazing. i am have been trying to eat seasonal foods. you can really tell the difference in the taste!